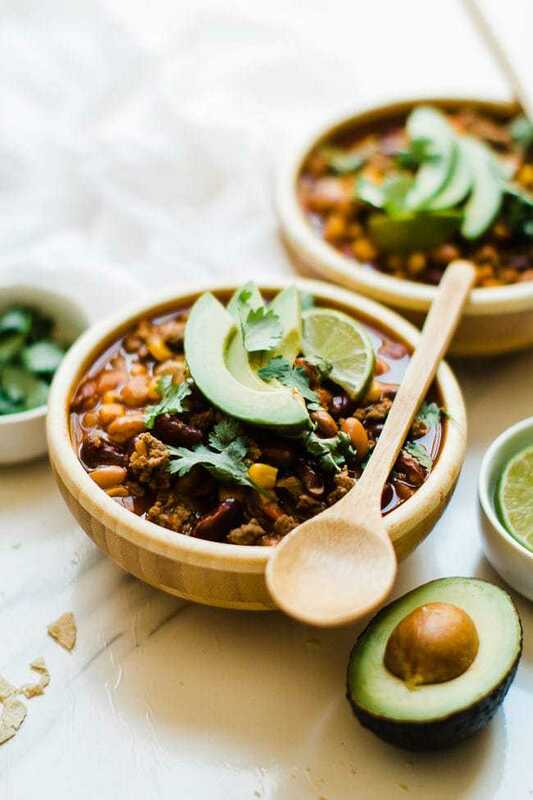 Delicious taco soup made in minutes in your pressure cooker. Hearty beans and tangy tomatoes come together with warm spices for this Mexican inspired meal. What Goes In Taco Soup? How Do I Make Taco Soup? Browning ground beef along with onion in your pressure cooker using the saute mode. Add canned kidney beans, liquid included. Add canned pinto beans, liquid included. Add diced tomatoes with green chilis. Add canned corn, liquid included. Top everything off with some taco seasoning, and then set it and forget it. Making this in the pressure cooker only takes 15 minutes. Tip: You can make your own taco seasoning to reduce preservative and fillers. Check out Perry’s Plate’s delicious recipe. Why Should I Make Taco Soup? 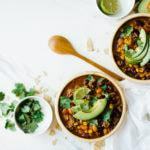 Taco soup is full of ingredients that are filling and good for you. 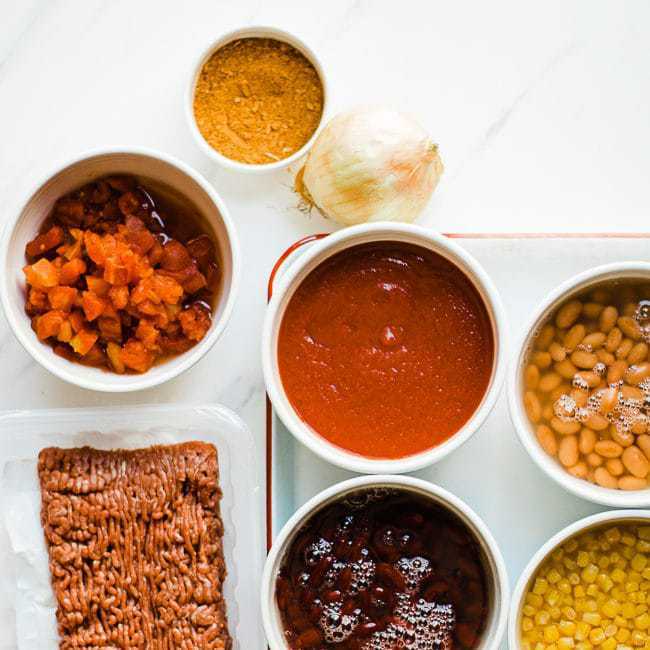 This easy pressure cooker taco soup is low in calories, but high in flavor. Beans are full of fiber which are good for the gut and help you feel full. While tomatoes are full of vitamin C and potassium. This dinner is one you will feel good about serving your family. This soup is great topped with cheese, avocado, tortilla chips, sour cream, or any other topping you desire! This meal also freezes great! You can put all of the ingredients in a gallon sized ziplock and tuck it in your freezer for a fast future meal. Tip: Freeze in disposable cups for individual serving sized portions. Once froze, cut the cup off and put all frozen servings in a gallon sized bag. 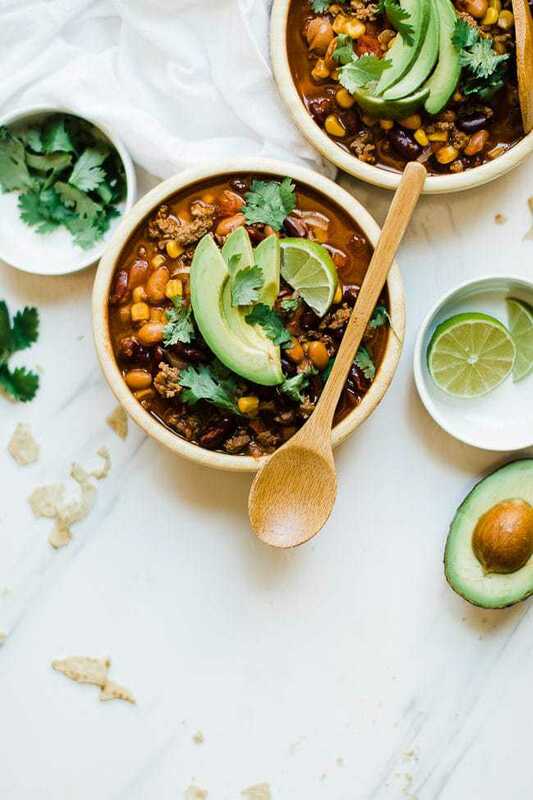 Please let me know if you make this easy pressure cooker taco soup!! I love to hear from those who make my recipes. If you want to keep up with our newest recipes, make sure you follow is on Facebook and Instagram, and make sure to subscribe to our newsletter. 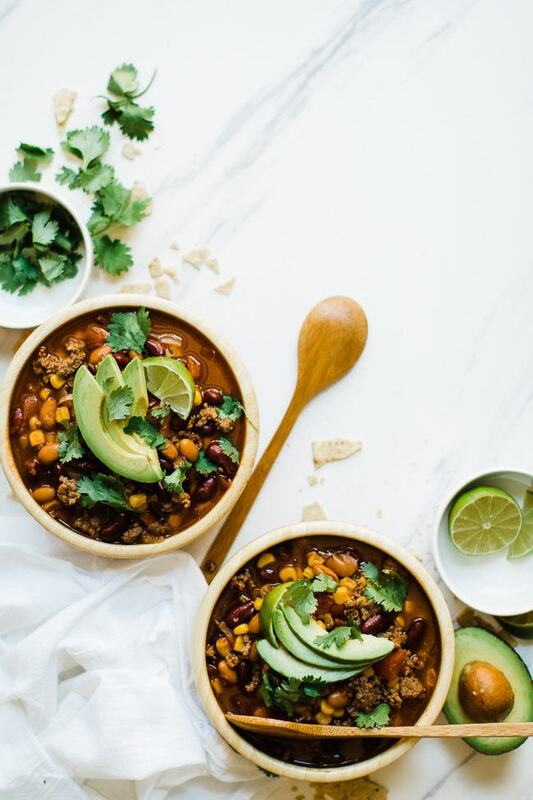 Delicious taco soup made in minutes in your pressure cooker. Brown beef along with onion in a large pot, drain fat. Add pinto beans, kidney beans, corn, diced tomatoes with green chilis, tomato sauce, and taco seasoning. Set your pressure cooker to saute and brown ground beef and onion. Add pinto beans, kidney beans, corn, diced tomatoes with green chilis, tomato sauce, and taco seasoning. Set to soup setting for 15 minutes. Use a quick release to release the pressure. For Slow Cooker: Brown beef and onions in a frying pan, transfer to a slow cooker. Add remaining ingredients and cook on high for 4 hours, or low for 6-8 hours. so many yummy things in one bowl, thanks for sharing!! This is one of our favorite dinners! I love how fast it is!